Apps are an essential part of most peoples lives, whether thats using an app to find out how to get from a to b or sharing your life on social media. As a blogger I'm always on the lookout for new apps to promote by blog and connect with brands, in an exciting innovative way. Besides from using the usual app suspects i.e. instagram, twitter and snapchat, I always try to get into the habit of using something new that I wouldn't normally go for. So I have decided to share my top 3 (free) apps that I feel are worth the time investing in and exploring. First up is new discovery called "feels", who work in collaboration with Storm (legendary modelling agency). It is basically a platform where you can upload your outfits or youtube videos onto your account, interact with other users by 'liking' their look/video and commenting. The thing that I was particularly drawn to within the app, is that you have the opportunity to enter yourself to work with brands-through their casting section. At the moment boohoo have a casting to find a model to appear in their exciting christmas online campaign. So if you fancy yourself as the next "Cara" or want to give modelling a whirl, then Storm are currently holding a casting to find new modelling talent. 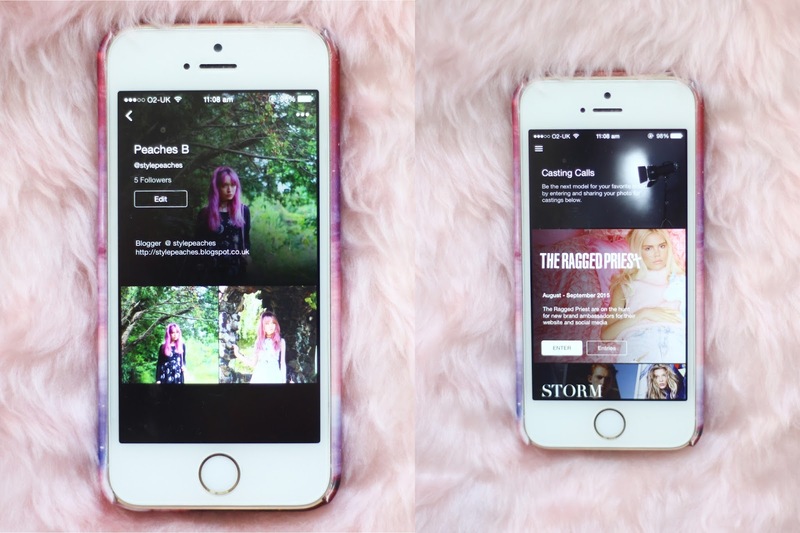 Needless to say this app is definitely worth looking at if you fancy working with your favourite brands or sharing your ootd/youtube videos on an exciting new platform. They are also available on both the apple app store and on android devices. Next up is another fairly new app called Villoid, you may or may not have come across. 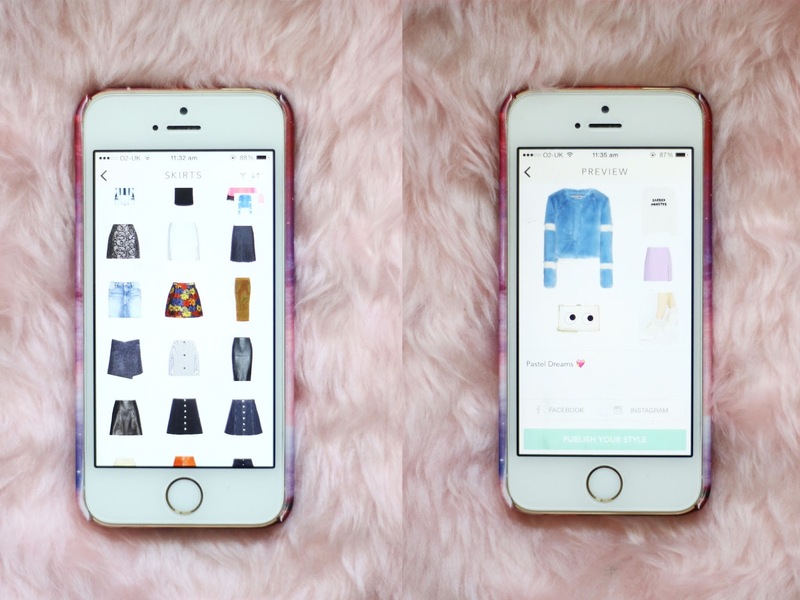 You can use this app to create your dream outfits to fulfil your hearts desired, using items available on their product search. Also this includes following some of your favourite brands to have a peek at what they are lovin' and creating at the moment. Another great thing about the app is that if there was a particular photo/image that you admired, you can include it within the layout of the collage to create a 'inspired by' look. 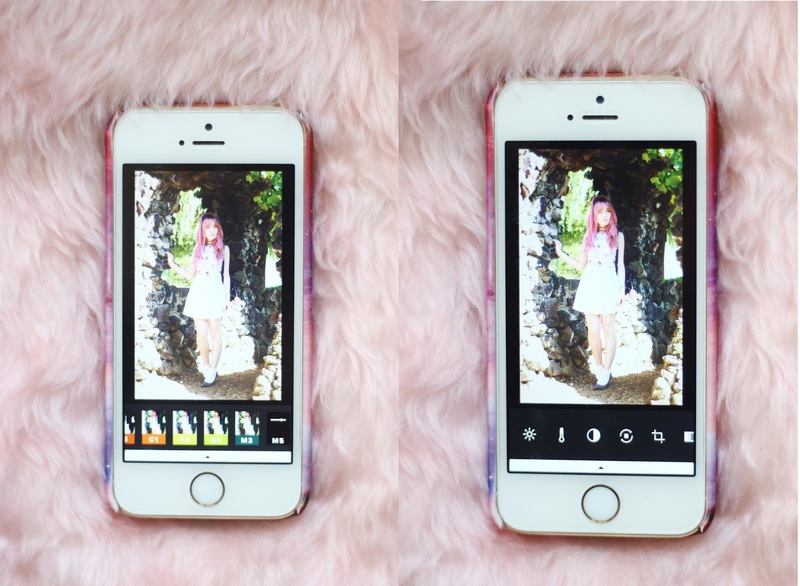 You can even include a photo from your outfit and share with users where you can buy 'similar' products featured in the outfit. At the moment the app is only available through the apple app store, but I have heard that they are in the process of creating an android version too! Beside to keep an eye out for that. Last up is an app which isn't necessarily 'new' to me but I have been using for a while and is a crucial step in my social media promotion-hence why I am sharing it. VSCOcam is a photo editing app which I use to edit ALL of my instagram photos, as I love how user friendly it is but also how you have control over everything within the photo. (I'll admit, I'm a control 'freak'.) From lighting, contrast to the opacity of the filters, this app is one for those looking to be experimental with their imagery. Additionally their filters are pretty awesome too, as there are just so many to choose from. My personal favourites are M5 and P5, which I use to create the perfect colour tone in my photos. This is one for those who want to experiment with their photography editing skills.The app is available on both apple and android devices.